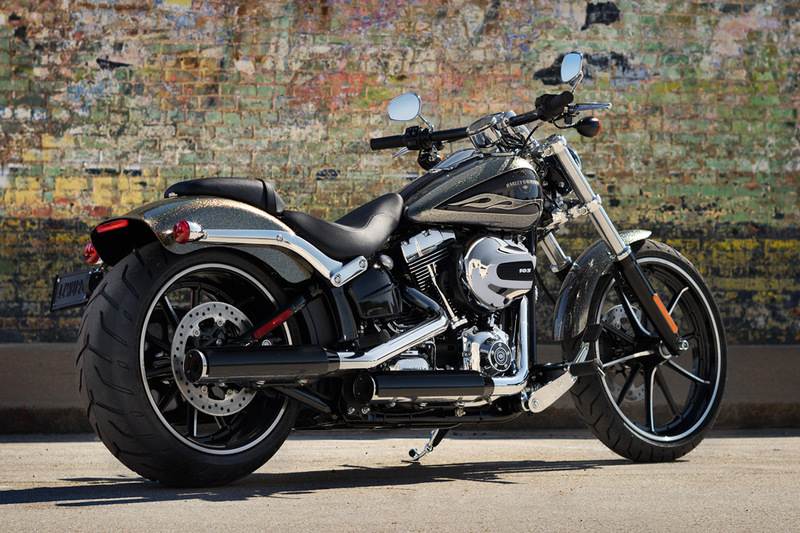 The Harley-Davidson Breakout® is a distinctive, high-performance bike from the iconic Softail® lineup available here at Rawhide Harley-Davidson. The new Breakout® gets an all-new high output engine and classic drag-inspired style to take you wherever you want in the Overland Park and Lenexa, KS area and beyond. 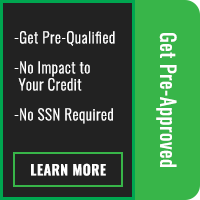 Find out more about the new Breakout® here at Rawhide Harley-Davidson®! The Breakout® is based on the classic Gasser drag bikes of the 50s and 60s. It boasts a long and low profile, premium paint and finishes, and all the custom details that go into every Harley-Davidson motorcycle. 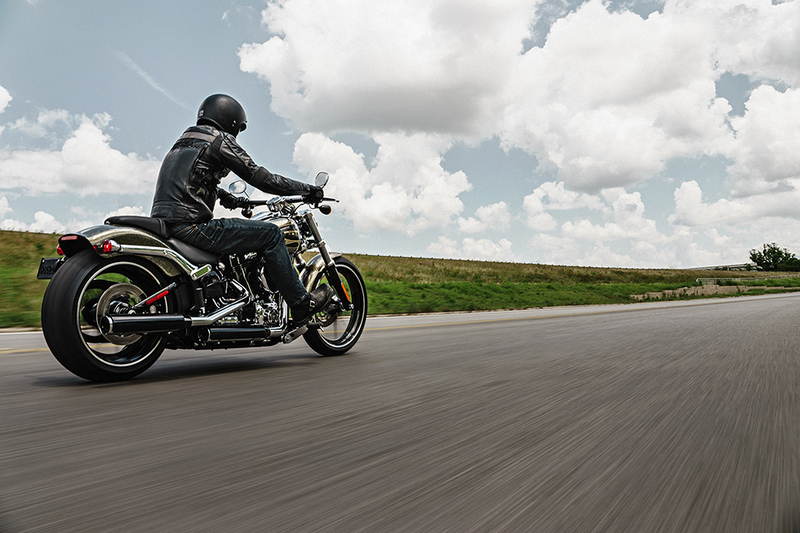 New Classic – The Breakout® is a modern update of the vintage Gasser drag bikes of the past. 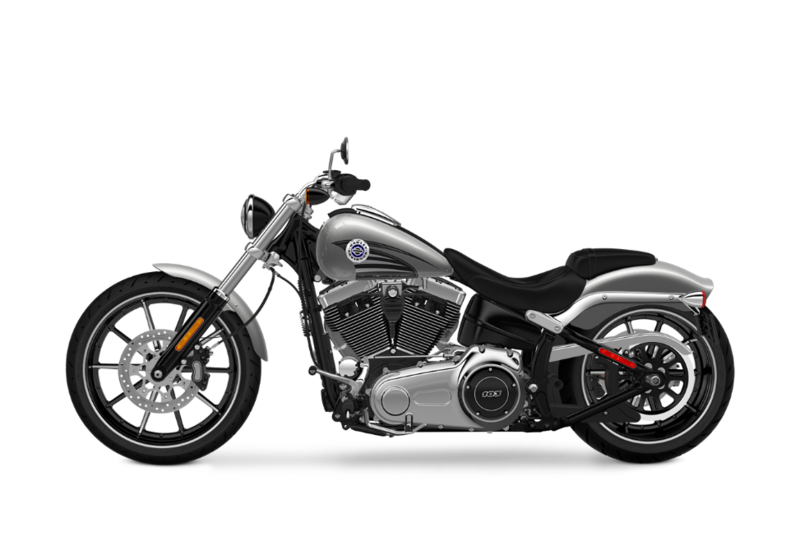 The stretched-out, low frame is unmistakable, and added details such as premium paint and graphics, big wheels, and plenty of chrome make this bike a true stand-out in the crowd. Superior Craftsmanship – Utilizing only materials of the highest quality, the greatest care was taken to craft the classic slammed design of the Breakout®. The premium fit and finish is apparent everywhere, from the chromed-out styling to the high-performance engine. Profile – Even parked at the curb the Breakout® commands your attention. 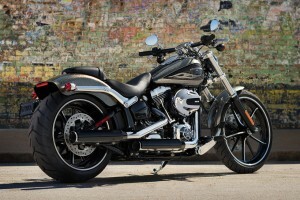 Low-slung with chopped fenders and big wheels, the profile is muscular and loaded with attitude. Premium Finish – A stunning visual statement in itself, the Breakout® gleams with premium finishes throughout. 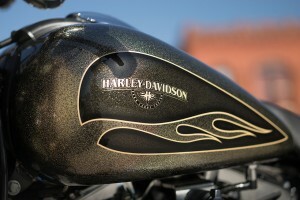 Especially eye-catching is the unique cloisonné-and-chrome style gear-shaped tank medallion. 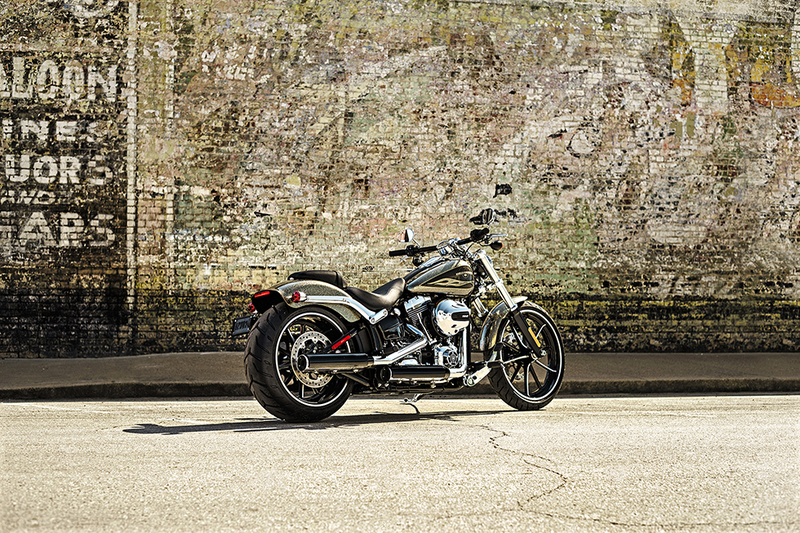 Front End Styling – The chopped front fender, wide front forks, and 21-inch, 3.5-inch wide Gasser wheel provide pure, raked-out dragster styling. Gasser Wheels – The bold rims were designed specifically for the Breakout®. With Vivid Black and machined finishes on alternating spokes, you get a tough, classic, and modern look. 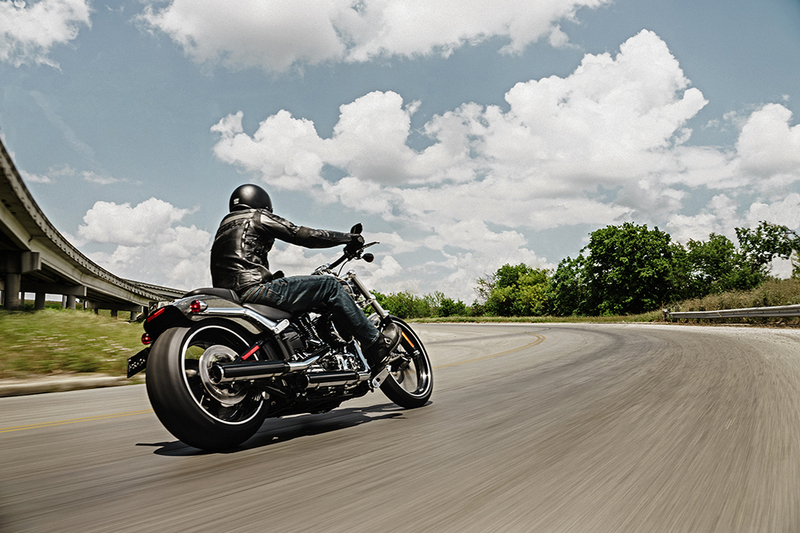 Fat Rear Tire – The Breakout® sports one of the widest rear tires you’re going to find anywhere. This 18-inch, 240mm tire wrapped around the Gasser rim is an authentic throwback to vintage drag-bike heritage. 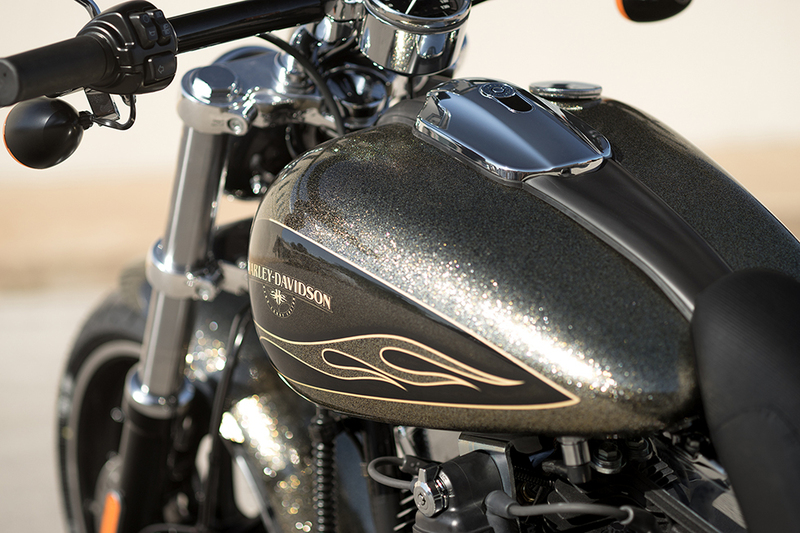 Hard Candy Custom™ Paint – A bold, old school, large metal flake finish can be added to customize your Breakout® with the optional Hard Candy Custom™ Black Gold Flake Paint. 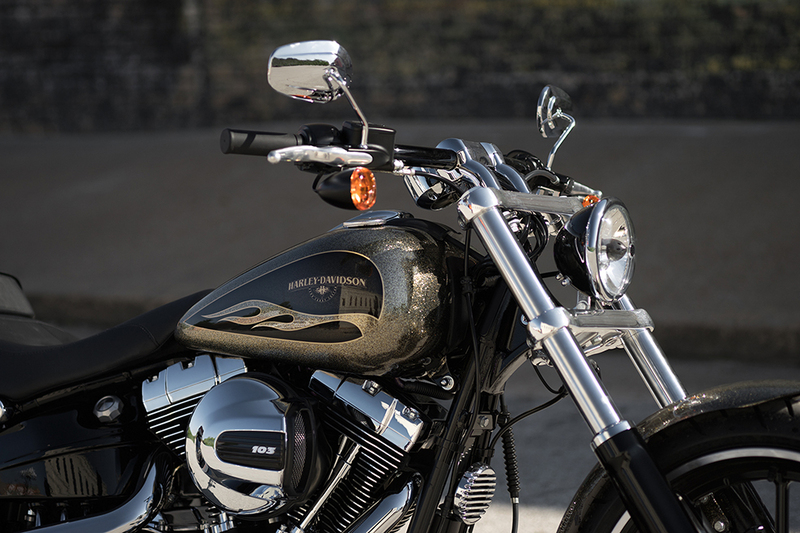 Side-Mounted Plate – A side-mounted license plate bracket compliments the minimal style of the Breakout®, showing off the wide rear wheel and fender. Slammed Console – With a clean, sleek profile, the slammed console is tight and distinctive, adding to the custom styling and aggressive dragster profile. 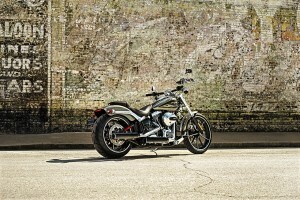 Chopped Fenders – The chopped, street legal fenders help to showcase the big tires and Gasser wheels. 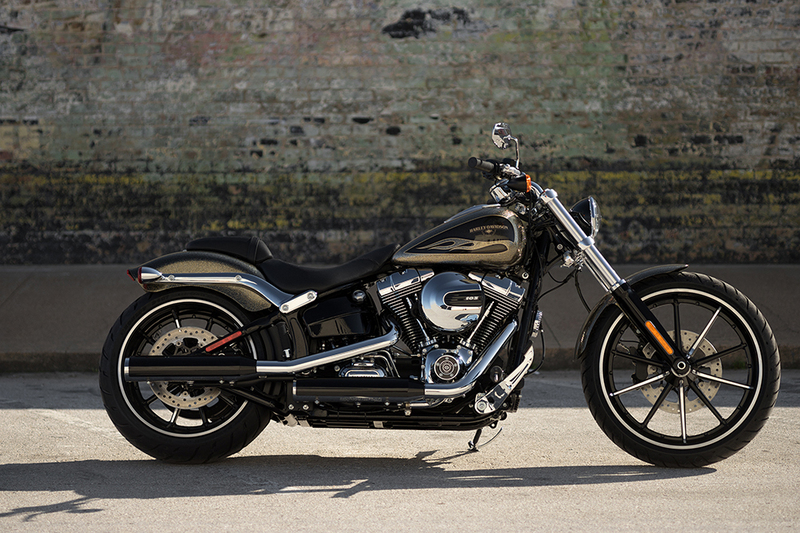 Made of light, one-piece forged aluminum to maximize strength, these fenders display true custom classic style. Speedometer – The 4-inch, digital, riser-mounted speedo is perfectly placed and displays your mph along with a gear indicator and fuel gauge. The Breakout® is powered by the new High Output Twin Cam 103B™ V-Twin engine linked to a Six-Speed Cruise Drive® transmission. 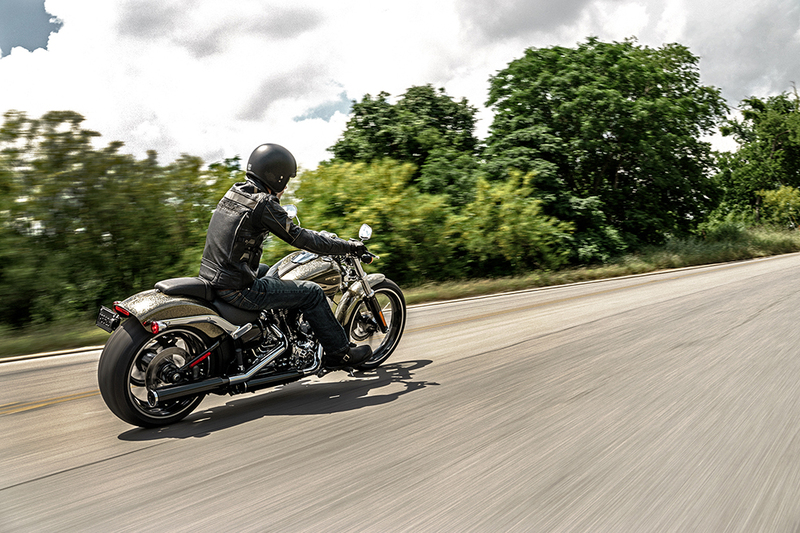 You can count on getting all of the high-end performance you need along with smooth control and handling. 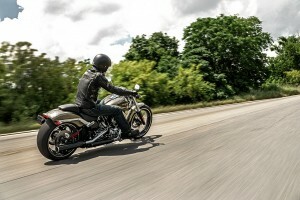 Twin Cam 103B™ V-Twin Engine – Continuing and pushing forward the legendary heritage of the classic Panhead, Flathead, Shovelhead, Knucklehead, Evolution®, and Twin Cam 96® engines, the new High Output Twin Cam 103B™ V-Twin engine provides durable performance and pure Harley-Davidson style. Power – With 103 cubic inches, an airbox that maximizes air flow, and plenty of low-end torque to make a quicker 50 to 60 mph 5th gear, the Twin Cam 103B™ delivers. 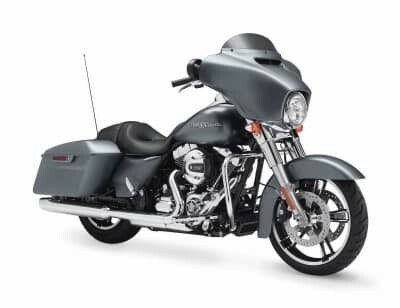 Innovation – Bringing in the latest motor tech, lightweight pistons, a solid driveline, and durable internal parts, this big V-Twin promises a low cruising rpm while cutting down on required routine maintenance. 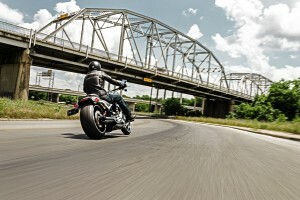 Transmission – The Six-Speed Cruise Drive® transmission works seamlessly with the big V-Twin engine of the Breakout®. This innovative transmission provides smooth shifting while helping to cut engine speed when opening up on the highway. 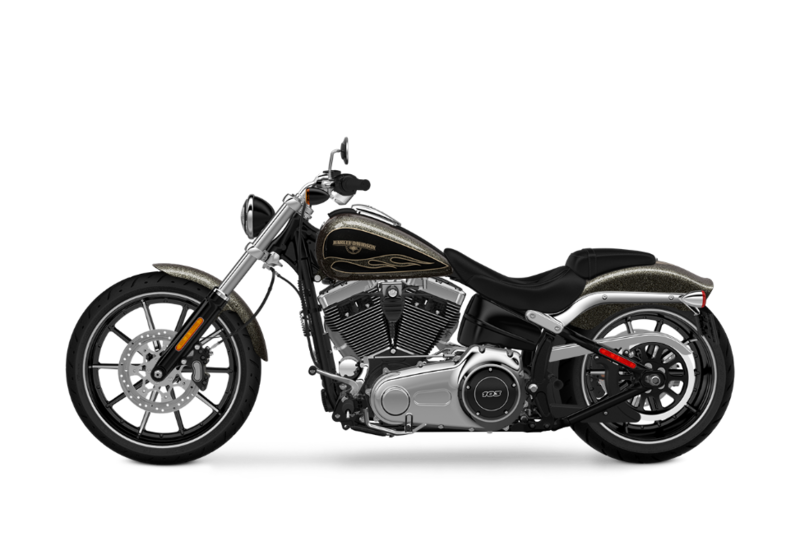 You’ll feel free to stretch out and enjoy that deep growl and rumble that is the signature of Harley-Davidson performance. 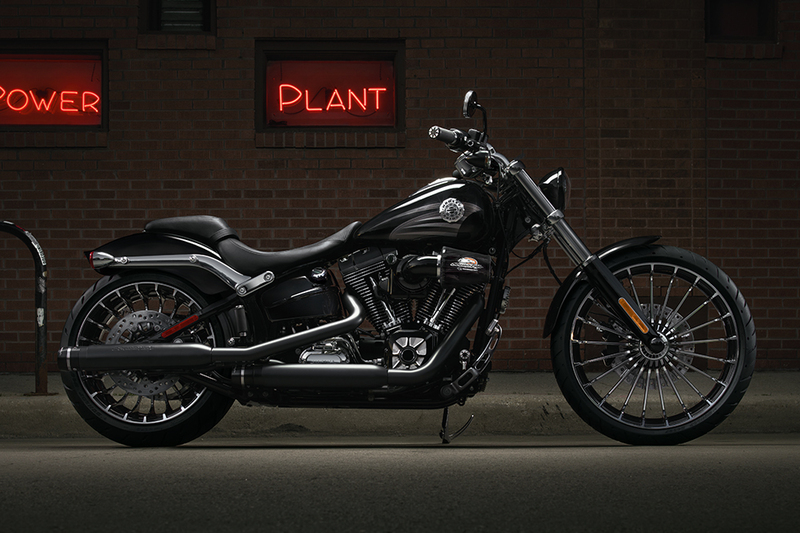 The Harley-Davidson Breakout® may sport throwback styling, but it comes packed with contemporary features. Stop/Turn /Tail Lights – The 3-in-1 stop/turn/tail lamps enhance the minimal profile while providing all the visibility you need. Anti-Lock Brakes – A sophisticated ABS system ensures that you get the confident stopping power you need at all speeds and in the toughest of road conditions. Security System – The H-D® Smart Security System is factory-installed and comes with a wireless fob that activates the security system automatically as you walk away from the bike. The Breakout® is a powerful bike, and Harley-Davidson has added smart design and technology to help you control all that raw power. 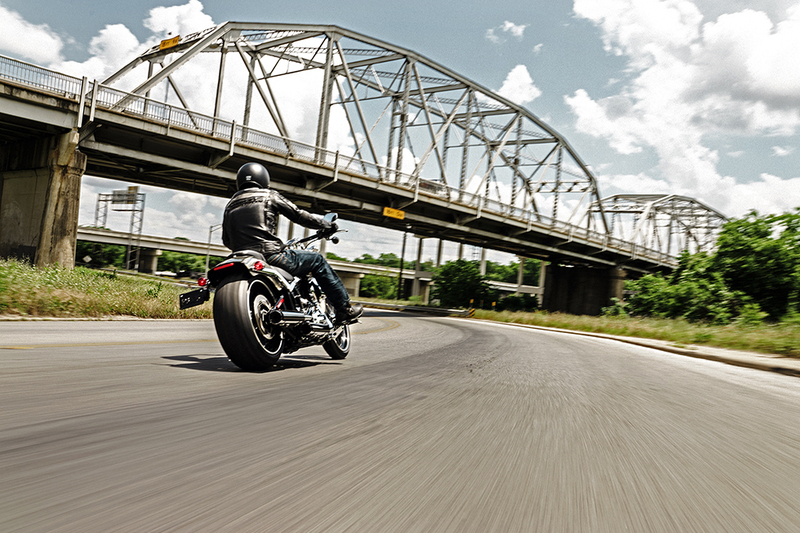 Balanced Suspension – Optimizing the power-to-weight ratio with a balanced, damped suspension is key to making the Breakout® ride smooth whether you’re cruising the streets or blasting down the open highway. Front Brake System – Engineered to provide a 40% reduction in the amount of lever force needed under peak braking conditions, the new 4-piston fixed caliper features 32 and 34mm pistons with premium coating to reduce initial displacement. Add in the large 300mm rotor and you get increased stopping power with less effort. Ergonomic Hand Controls – The Ergonomically Designed Hand Controls are placed perfectly to provide convenience and ease mile after mile. Throttle Control – The Breakout® comes with a new Electronic Throttle Control that’s easy to use and eliminates the clutter of extra wires on the handlebars. Whether you’re just cruising around town or heading out on the highway, the Breakout® is designed to provide all of the comfort you want. Low Seat – The two-piece saddle comes with a low bucket and removable rear-pillion. 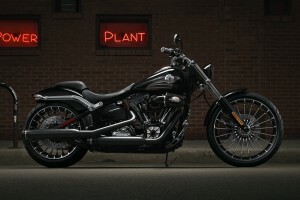 It looks sharp and feels great whether you’re riding solo or with a passenger. Handlebar – The low and wide drag-style handlebar puts you in that aggressive dragster riding position. All wiring is internal so this handlebar fits right in with the clean, uncluttered custom look.